Thomas Richard 'Tom' Paxton was among the group of New York-based singer/songwriters who helped start the early '60s folk revival. Born in Chicago on October 31, 1937, Paxton grew up in Arizona. He discovered folk music when he heard Burl Ives singing traditional songs such as Blue Tail Fly and Big Rock Candy Mountain. 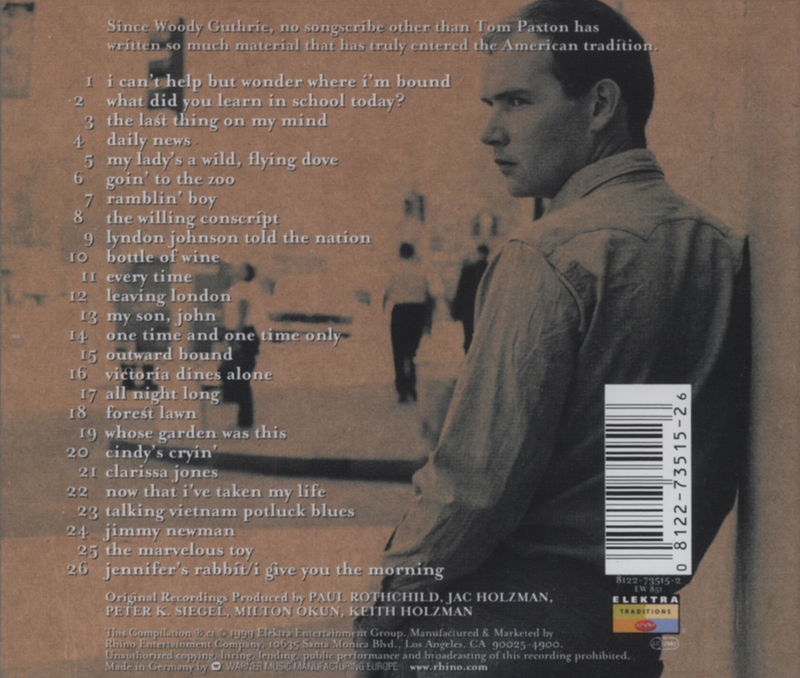 While at the University of Oklahoma he was introduced to the more topical folk music of Woody Guthrie and The Weavers. Paxton joined the U.S. Army after graduation and was fortunate to be sent to Fort Dix, New Jersey for schooling. Being only about 60 miles from New York meant that he was able to spend many weekends in Greenwich Village, meeting other folk singers and performing at the Gaslight Café. Paxton was also writing songs at this time, some of his lighthearted tunes such as The Marvelous Toy and What Did You Learn In School Today quickly being picked by artists such as Malvina Reynolds, Pete Seeger and The Chad Mitchell Trio. School… was written well before the Tonkin Gulf Resolution, so in retrospect its lyrics seem prescient for the decade that followed. According to Paxton, children were being taught that war is not so bad, that soldiers seldom die, that "our government must be strong" and that "it's always right and never wrong." When these teachings bumped into the reality of the Vietnam War, many young people lost faith in their elders, teachers and government. 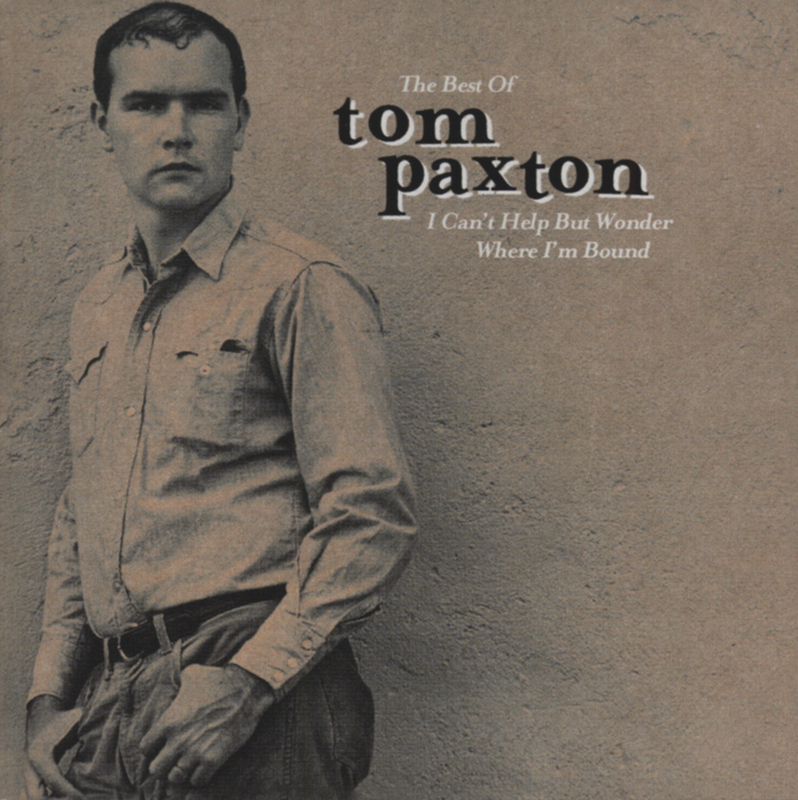 Paxton's own take on School…was that an effective topical song should "use a little irony, a little tongue-in-cheek." By 1964 Paxton and his music became deeply involved in the pressing social issues of civil rights and the war. He took part in '64's Freedom Summer and sang at voter registration drives. Goodman, Schwerner And Cheney was his tribute to the three slain civil rights activists. With regard to the widening conflict in Southeast Asia, The Willing Conscript [Disc 1 as sung by Pete Seeger], Talking Vietnam Potluck Blues and Lyndon Johnson Told The Nation [Disc 1] are but three of his anti-war songs. Kundenbewertungen für "Best - The Elektra Years"